Ever since the mass adoption of tablets, people like me have been trying to use tablets as a multi-monitor setup with severe constraints. For instance, running remote desktop app to extend the desktop display. Many resort to simpler workarounds like segregating applications on different devices, e.g. using laptop for work, tablet for web brower, checking emails and social updates. The biggest benefit of using a tablet as a secondary display is portability. For dual monitor lovers like myself, it is hard for me to be productive with only a single monitor. So when I am on the go with a compact laptop, my productivity suffers due to the small screen. USB-powered LED monitors are already available in the retail market but not common. 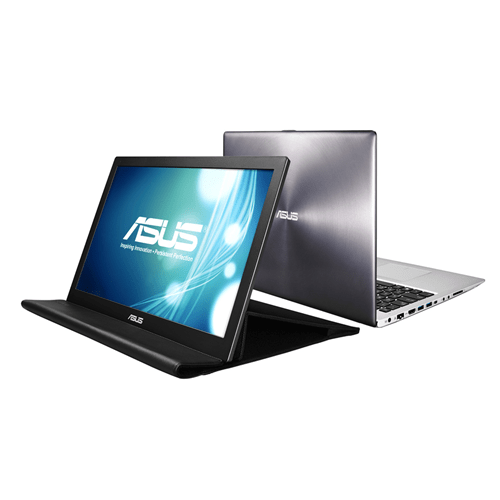 ASUS is the first big-brand to launch it commercially. Already available in U.S. since late-2013, the MB168 is now available in Singapore from 5 Jun at the PC Show. The ASUB MB168B+ is the lightest and slimmest USB-powered display. For people who needs multi display on the go, this would be a god-send. What benefits would a portable display bring? If your laptop display is too small, the MB168B+ will extend the display for more productivity. Why not a bigger laptop then? That’s because you would still want your laptop to be light and portable at times, e.g. cafe. So getting a separate portable display makes perfect sense. Don’t you hate the thick power cables and display cables, the bulky display stand, making it a hassle to move the display around when you needed? 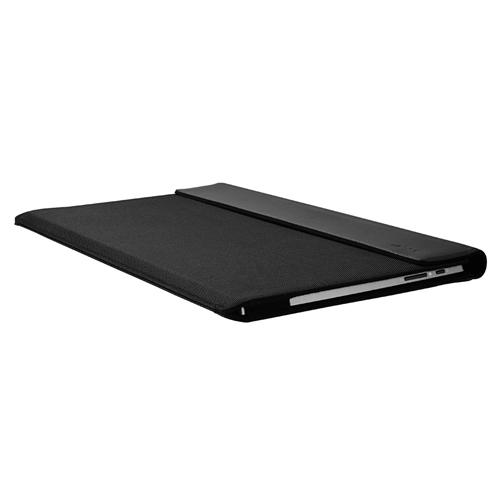 The MB168B+ has a clean setup, just one cable to plug to your computer, and a stand that doubles as the carry case. Set up your second monitor quickly just like your laptop, and pack it aside when you are done. The MB168B+ has the added feature of auto-rotate function. Just switch from landscape to portrait mode any time and the screen display updates in a snap. This is great when you wanted to switch different orientation without fiddling with the display settings. The MB168B+ features EzLink technology which basically runs on a dedicated graphics hardware, so that you can practically connect up to 5 MB168B+ monitors at the same time regardless of your computer’s graphics capability. It is not fair to expect a USB-powered portable display to deliver top-spec display performance, so you won’t get the desired brightness nor gaming-grade refresh rate. But I doubt these users would need a portable display. The MB168B+ is now available in Singapore. Looking forward for a review unit so that I can provide a more practical insight. Mi Headphones: Best Overall Value Earphones Ever!